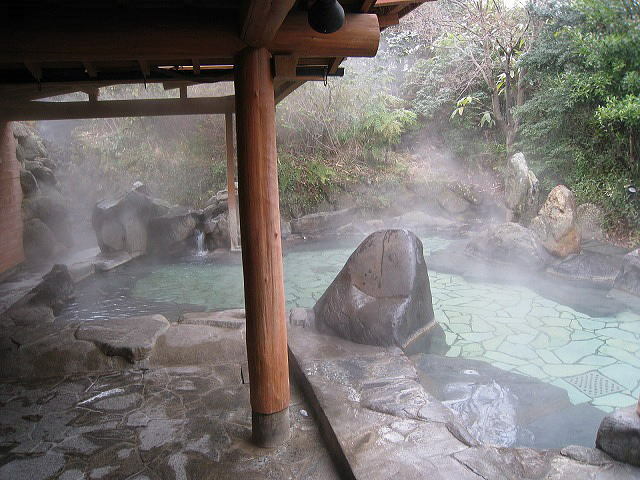 Kumamoto Prefecture is famous for hot springs. Kurokawa Onsen is one of the most popular hot spring resorts with a variety of ryokan (a Japanese-style hotel with onsen) to choose from. Here are some of our recommendations. How about renting a yukata (casual kimono made of cotton) and relax in a cozy room? You can enjoy Nonohana’s highly-reputed original Japanese cuisine in a private dining room. The tasty Kumamoto beef BBQ is a must-try! 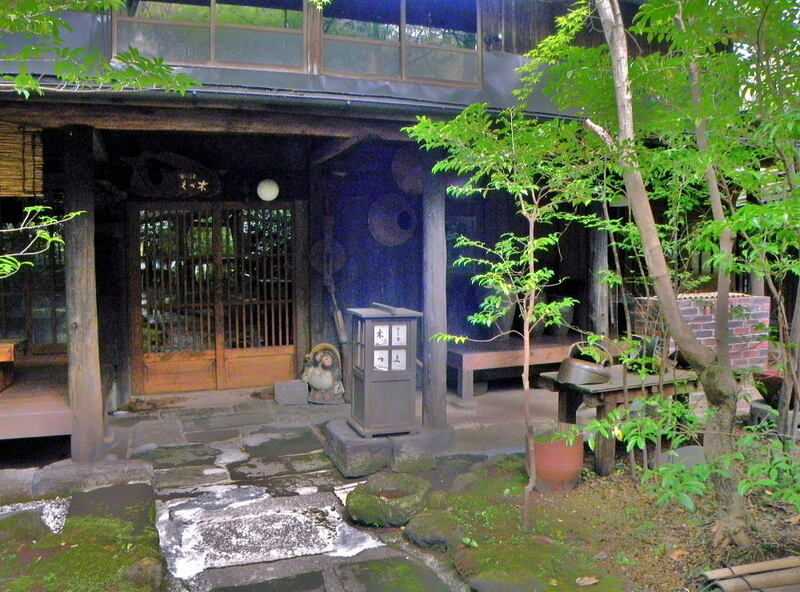 This ryokan is located on a mountain and you will appreciate its quiet atmosphere. 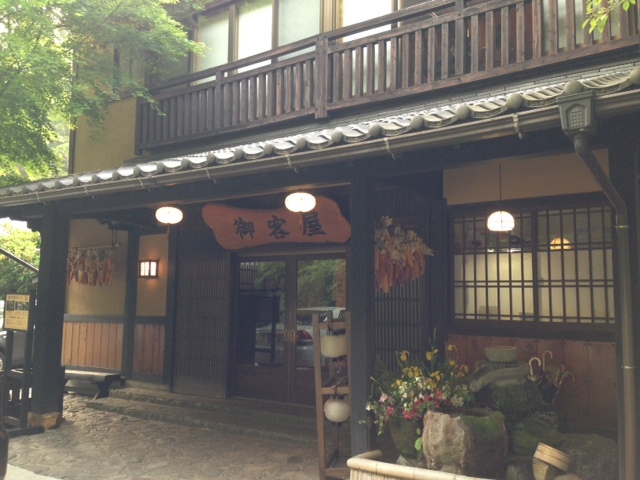 They offer excellent cuisine using fresh vegetables grown around Mount Aso area. 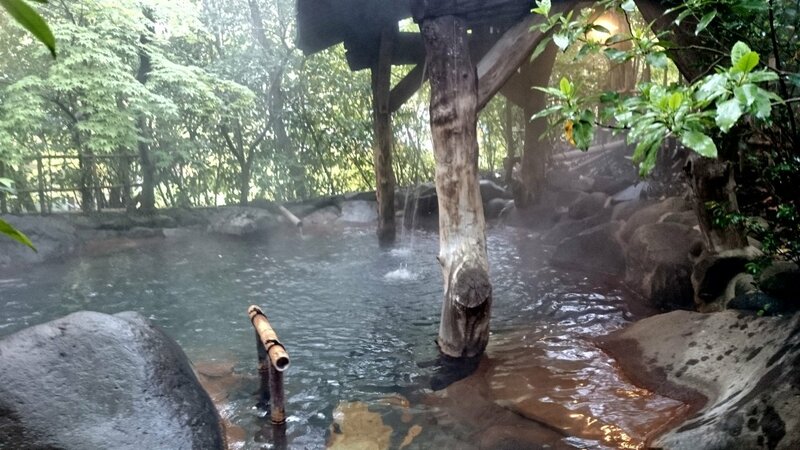 The spacious outdoor hot spring is surrounded by nature and you can view byobuiwa rocks (rocks standing like a folding screen) right in front of you. 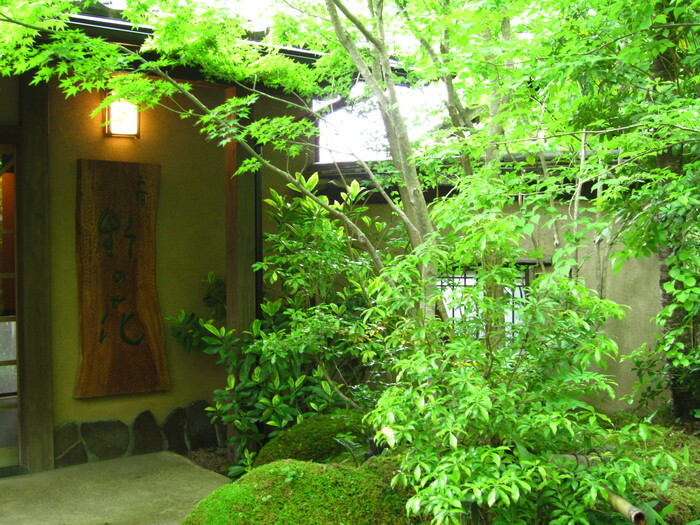 Okyakuya is the oldest ryokan in the area, serving guests since the end of Edo Period. You will certainly enjoy its historic atmosphere. 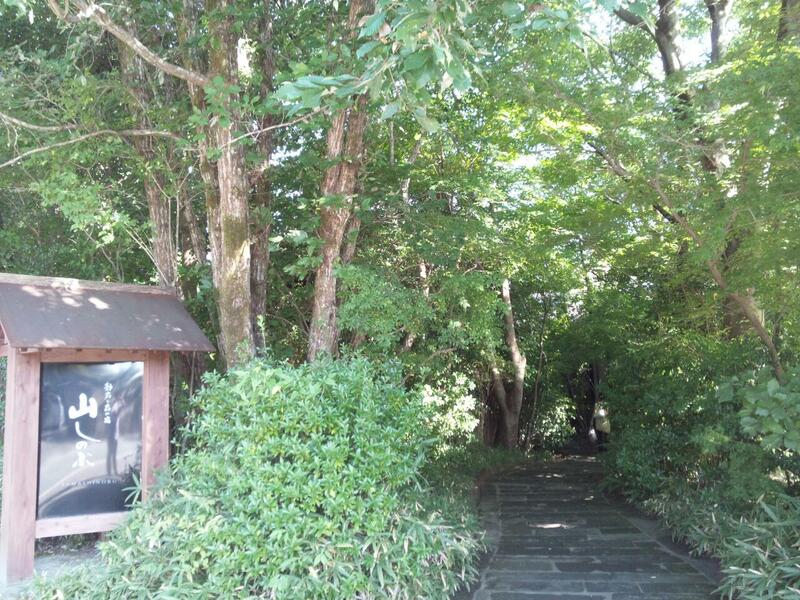 This ryokan has 12 stand-alone guest rooms in the quiet forest. Facilities include an observation deck and a library in the approximately 5,000 square meters property. Their stand-alone guest room looks like a log house. For the first time ever in Kurokawa Onsen area, three onsen baths from Ikoi Ryokan (outdoor Rotenburo, Takino-yu, and Bijin-yu) were listed in Japan’s Best Onsen Ranking. If you are an onsen lover, you can try 13 different types of onsen baths at Ikoi Ryokan! 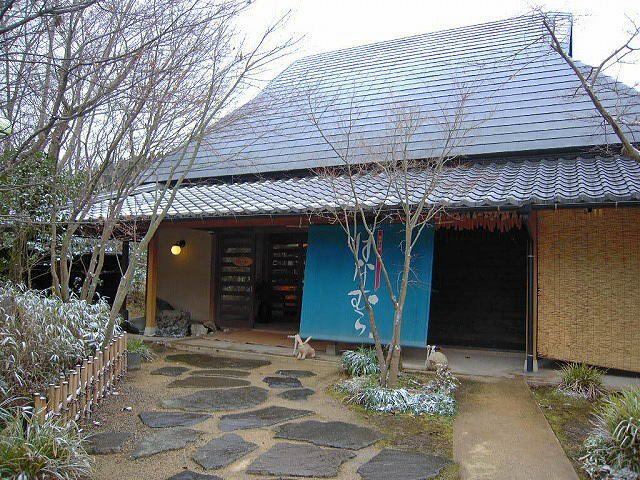 Yamamizuki is located on a mountain and beautiful seasonal views can be seen from anywhere on the property. The view of autumn leaves from guest rooms is stunning. Autumn leaves can be viewed from guestrooms. The outstanding view from the outdoor hot spring Zekkei no Yu is a must-see. The ryokan is surrounded by the nature of Aso area and you can enjoy relaxing activities such as star viewing and taking a walk in the morning fog. 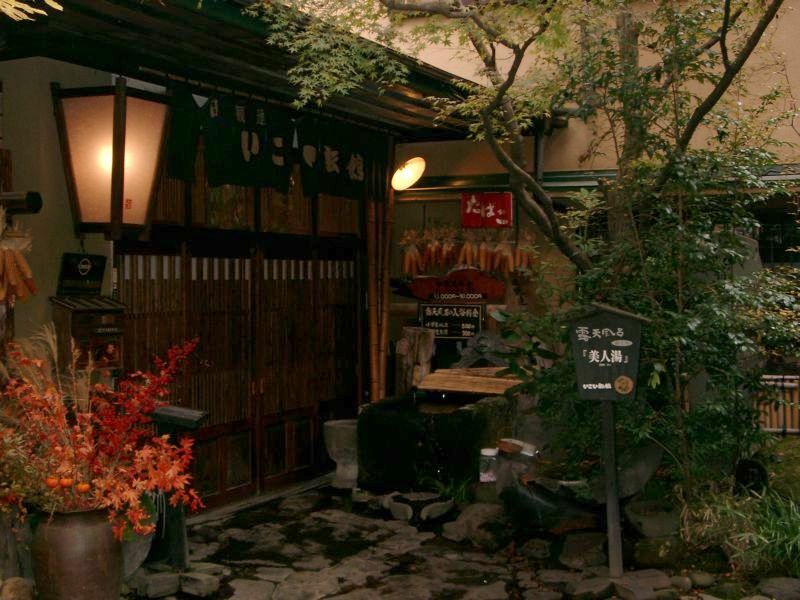 Noshiyu has a gender separated outdoor hot spring where female guests can be comfortable and spend a good time. The outdoor hot spring in a natural environment is very refreshing. This ryokan provides stand-alone guest rooms with private hot springs on the approximately 13,000 square meters property. Their hot spring ranked 1st on “Japan’s Secret Onsen Ranking”. 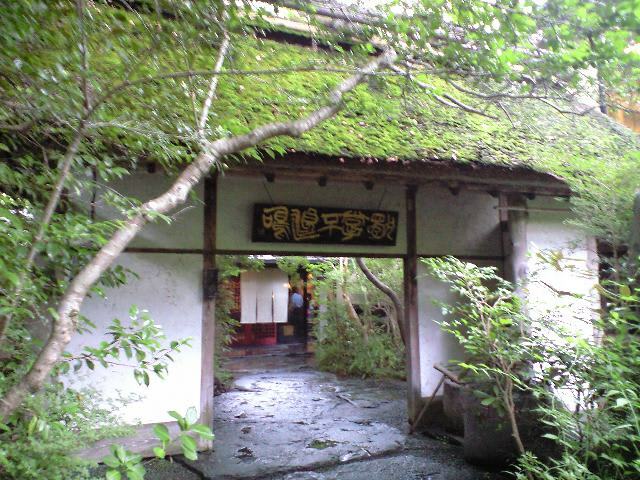 Natural hot spring water is used for the outdoor onsen. This cozy wooden house will make you feel relaxed, and its nostalgic atmosphere might remind you of the popular Studio Ghibli movie “Spirited Away”. Tea and Japanese traditional candies will be served any time in the open ceiling lobby. 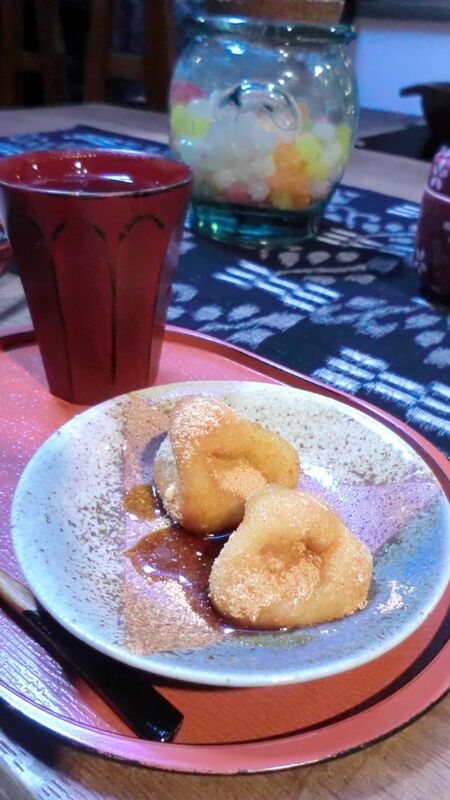 You can relax in the lobby with delicious Japanese sweets. 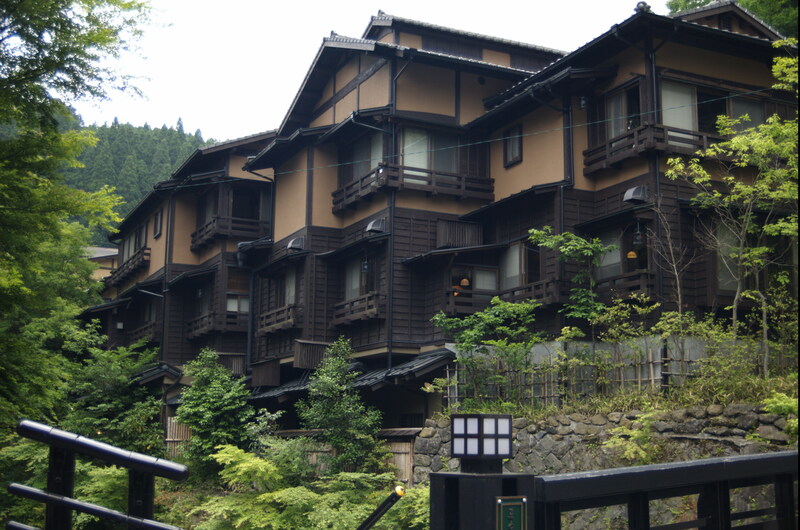 Too many attractive ryokan to choose from? Just pick one, and enjoy your hot spring experience at Kurokawa Onsen!